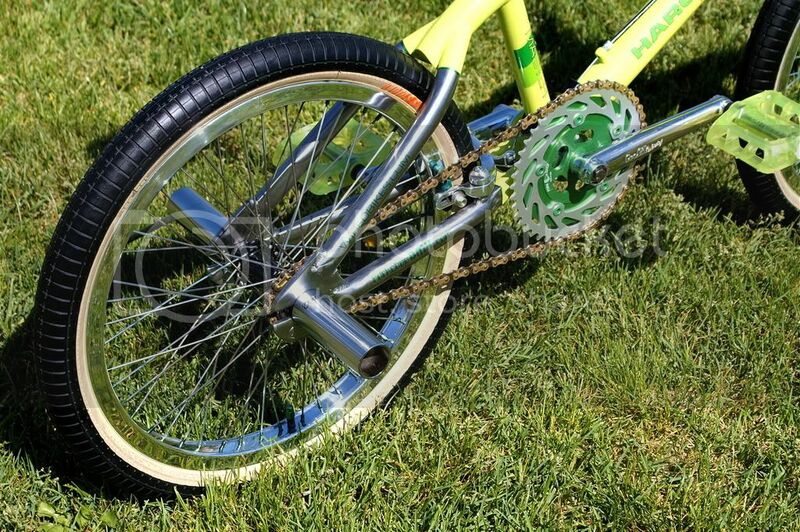 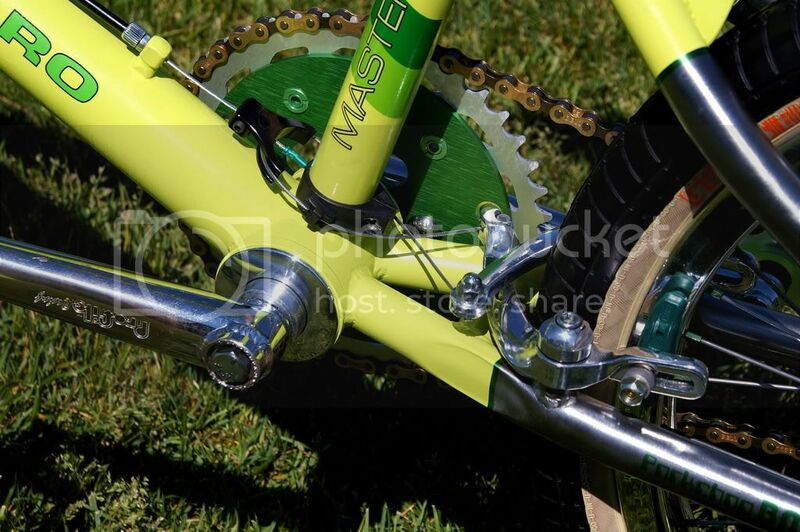 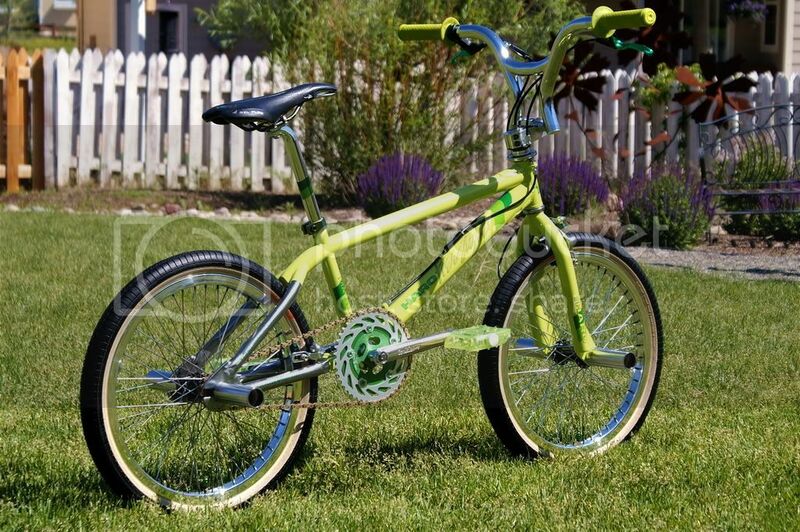 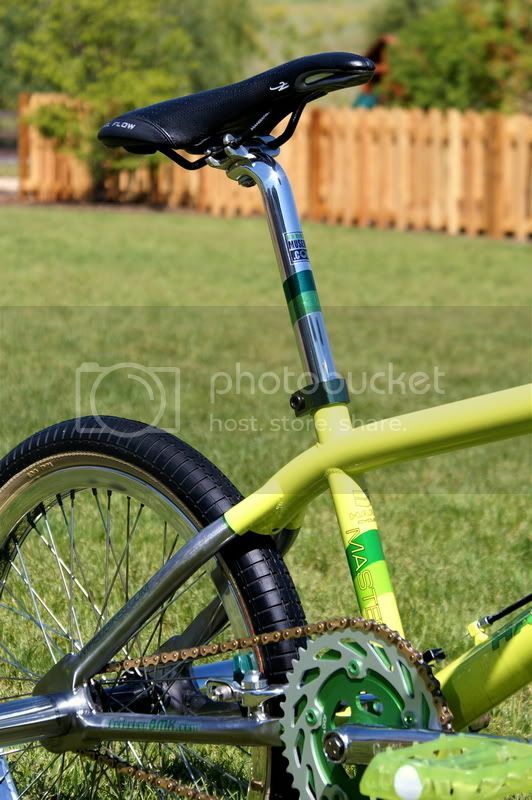 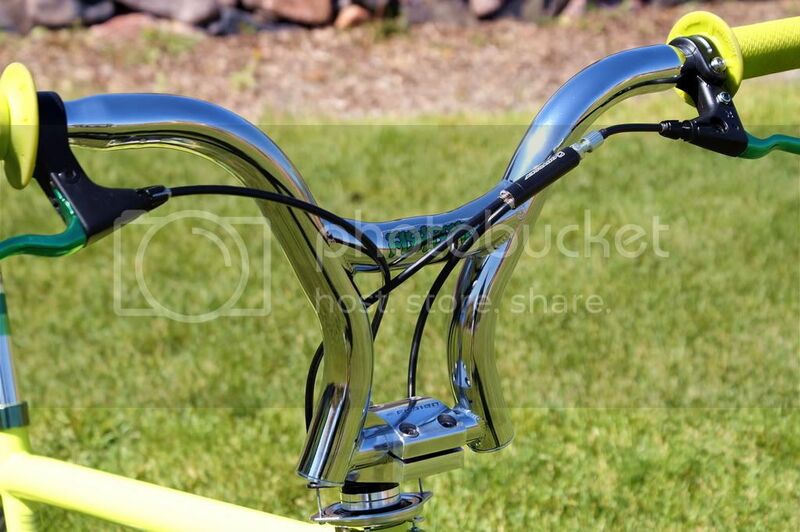 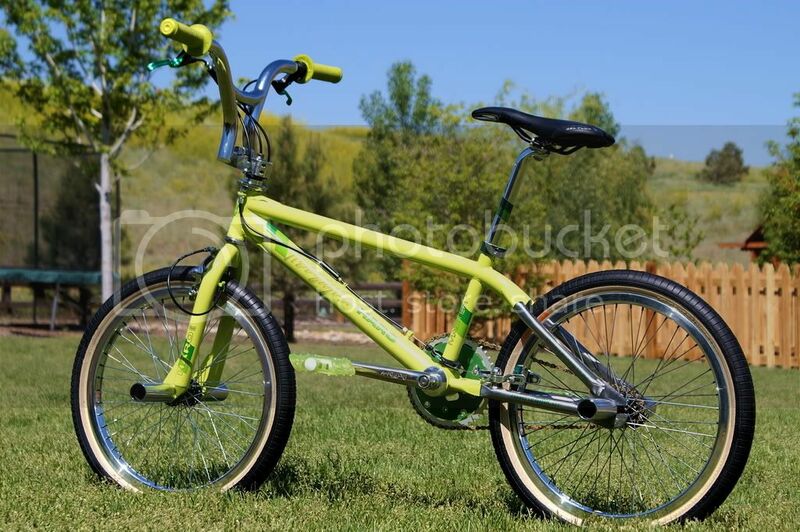 Ever since I laid eyes on a 2004 Haro Retro Freestyler I've wanted one. 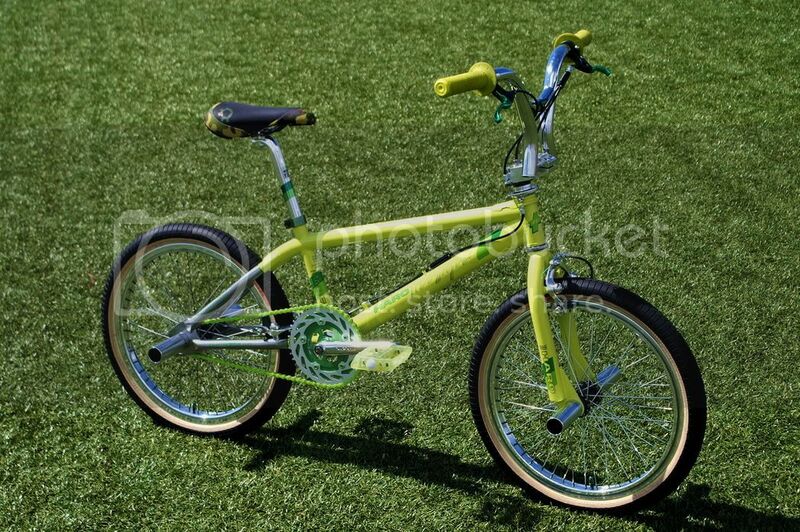 Since last year I've found two Haro Mirra Air 540s which are the closest style frame to the retros. 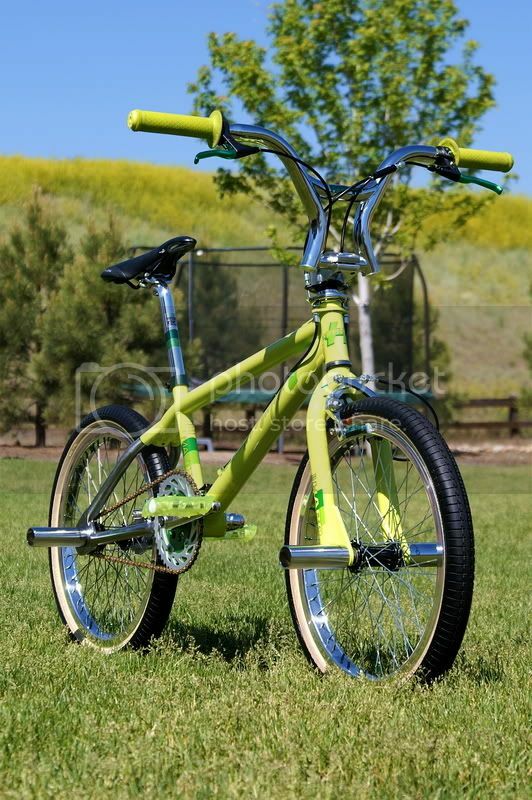 I didn't have any bikes in green so far but had been building one in my mind since last year. 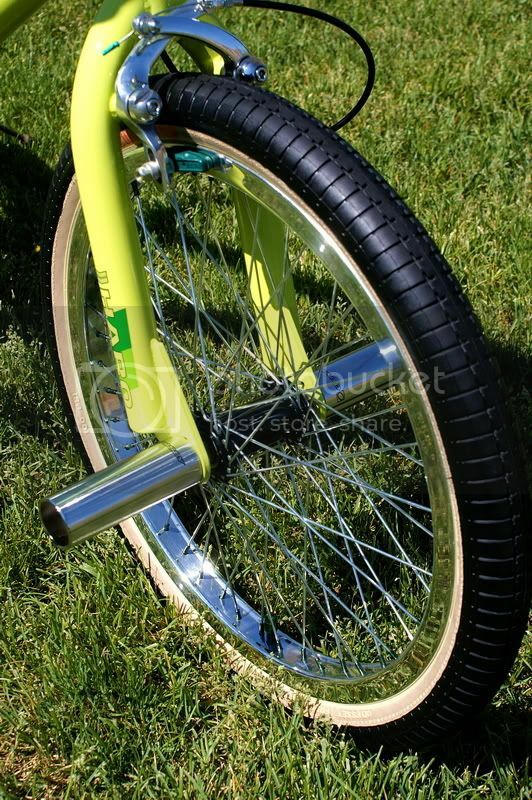 I decided to let the ideas out and do a custom retro Freestyler. 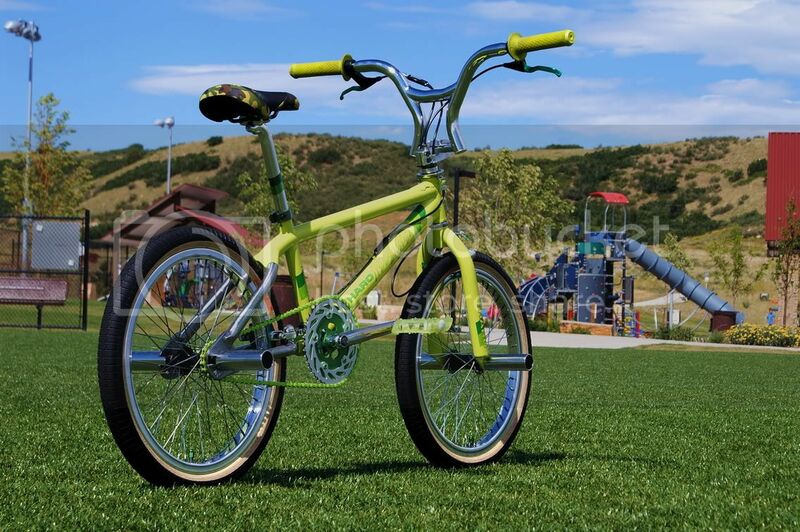 This bike rides like a dream at the skateparks.